Is there a webOS TouchPad app for that? Today HP announced the long awaited release date the HP TouchPad. On June 19th, customers will have the ability to pre-order the TouchPad. On July 1st, you’ll be able to walk into a Best Buy, Walmart or any other host of retailers and pick up your TouchPad. HP has delivered on their promise to ship this summer. This also signals the start of sales phase. HP needs to make a compelling argument as to why you should purchase a TouchPad over an iPad 2, Motorola Xoom or one of the countless Android tablets that are starting to flood the market. 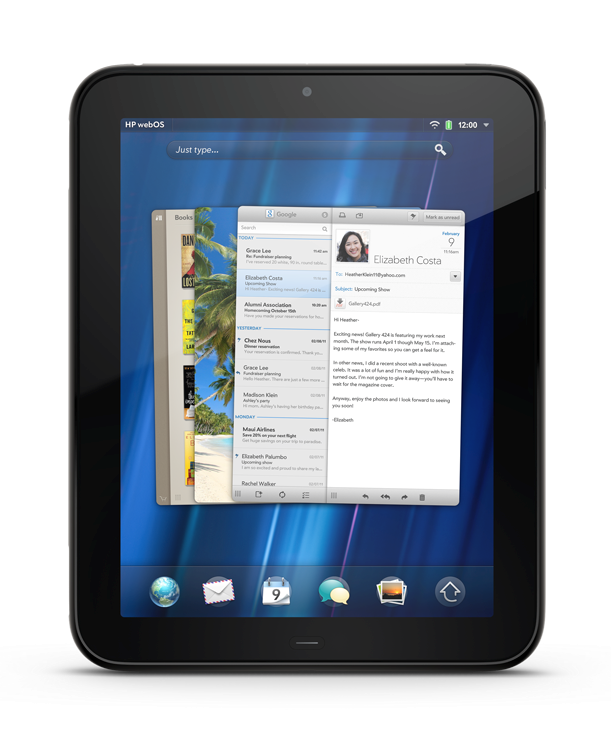 Part of that argument continues to be how webOS offers superior multi-tasking, notifications and other industry leading features baked into the operating system. If the TouchPad is to be successful, the second part of the equation needs to be apps. In the press release announcing the release, there is not a single mention of applications. The HP webOS website, which is likely a popular destination for those considering the TouchPad, shows four app icons. Angry Birds, Time, Last.FM and Facebook. None of which are clickable and allow you to see how the apps look on a TouchPad. There are already thousands of great apps for HP webOS, and we’re adding tons of features for app developers to help bring you more amazing experiences. Enjoy apps for social networking, health and fitness, productivity, finance, 3D games—you name it. And the redesigned App Catalog makes it even easier to find the hottest apps out there. Applications are the fifth paragraph down, just below Touch to share. A nifty feature, but relies on one having a yet to be released Pre 3, which in all fairness could debut in time for the July 1st launch. Why are they pushing the application story below a feature that’s won’t be available until sometime later this summer? It’s also a limited use feature. How often do you envision yourself sharing a web page between your Pre 3 and your TouchPad? I’d venture to say that availability of high quality apps are far more important than Touch to share. 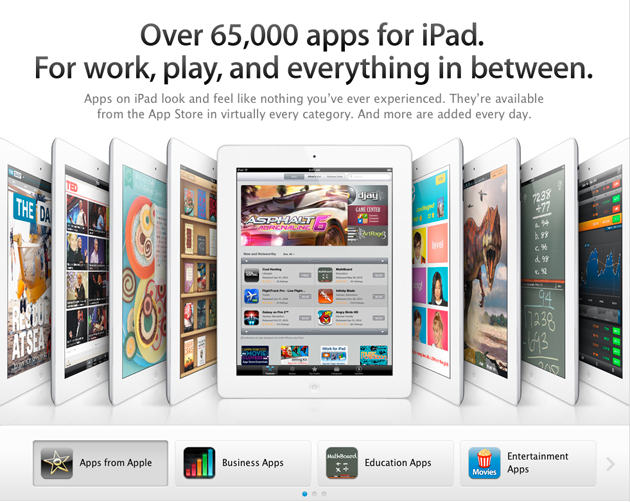 It would be unreasonable to think HP would be able to announce anywhere near the 65,000 apps available for the iPad. They don’t need anywhere near that quantity for the HP TouchPad to be a success. What they do need are high profile apps. Netflix, Twitter, Kindle? Sure there are plenty of existing webOS apps that will work on the TouchPad, but scaled phone apps are not reason enough to invest in a $500 plus tablet. Potential customers will want to see TouchPad apps in action and how they benefit from the larger screen. The misconception among some when the iPad was announced, was that it was a giant iPod touch. The apps told a different story. Using an app geared for a tablet presents an entirely different and more robust user experience. Motorola’s Xoom has experienced some of the same issues when they released their tablet earlier this year. 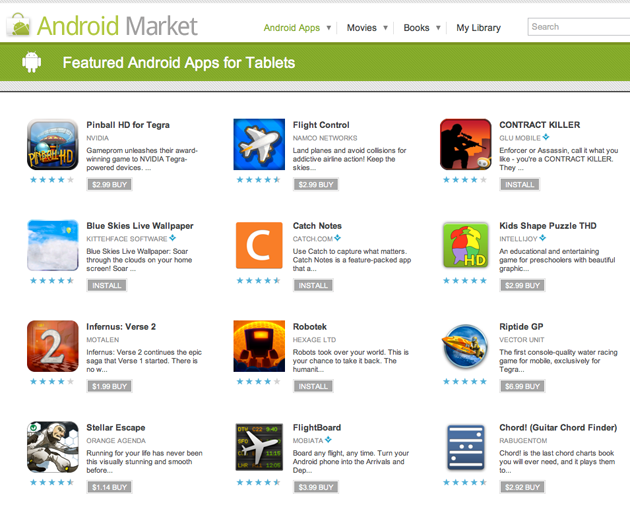 One could argue that’s still an issue, based upon the limited number of apps shown on the Android Market. It’s quite possible that high profile apps are going to be available. HP’s Apps section for phones clearly shows that Palm understands the importance of providing essential apps. HP needs to show more than a handful of high profile TouchPad specific apps and how these apps perform on the new tablet. Once the July 1st date became etched in stone, the story shifts to apps. There are plenty of compelling reasons to buy a TouchPad. Right now, apps are not one of those reasons. The question is, will it be come June 19th or even July 1st? I loved my original Pre. Ditched it for Android because of the lack of Apps. HP needs to figure out a way for this to run Android apps in order for it to be a major player. Google and Apple already have a couple years on Palm as far as apps go, light years if measured by # of apps. That is the only way I would buy another Palm product at this point. Well then don’t buy another Palm product and enjoy your Android, hoping that turd of a UI gets some polish someday. So far, I’m terribly disappointed with the touchpad. I opted for your tablet because I thought that you fully supported Flash; the iPad I consider a limping Cadillac without Flash. I think the touchpad has webOS, but as the story goes in my former country, they come along to the party but only just as far as the door. I will call it real TouchPad when it can really penetrate with real webOS in the fray.